A new book of photographs from the Jim Marshall Archive celebrates the Johnny Cash albums At Folsom Prison and At San Quentin. With exclusive access, Marshall documented the rebirth of the star 50 years ago - and captured one of the most iconic music photos of the 20th Century. In Johnny Cash at Folsom and San Quentin, images captured by music photographer Jim Marshall offer a definitive view of Cash’s redemptive prison concerts recorded at Folsom in 1968 and San Quentin in 1969, both in California. Before Cash came to make these celebrated recordings his career was on the slide. He had won and lost the respect of the country music establishment, fans had dissipated due to no-shows by the man himself, and his family feared for his survival owing to drug addiction and a penchant for creating havoc. After one chaotic night in the mid-60s, driven by despair and fuelled by stimulants, Cash sought refuge in a Tennessee cave and battled his demons. The outcome was a literal re-awakening, and he walked from the cave with a burning passion and something to prove. 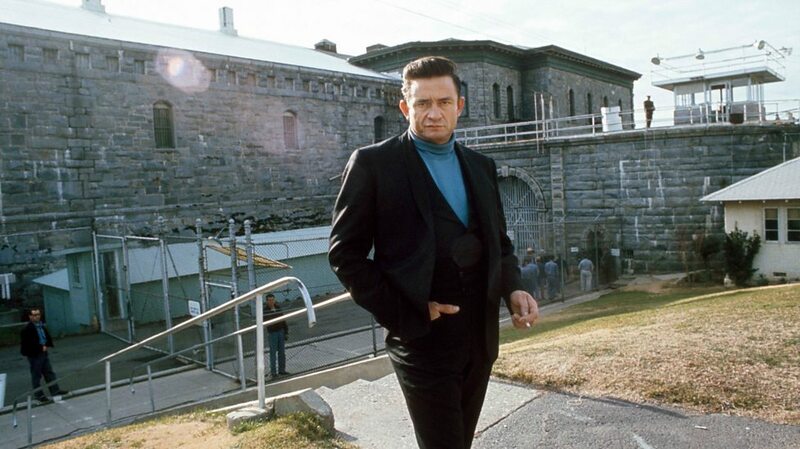 Supported by Bob Johnston of Columbia Records, Cash was offered the chance he’d been waiting for since Folsom Prison Blues became a hit for him in 1956: the chance to record an album in a prison. Three recordings were set, two at Folsom on January 13, 1968 and one at San Quentin the following year. The resulting albums re-established Cash as a country music icon, building on his legendary live fearlessness, and the images caught by Marshall made that legend all the more enduring by documenting the evolution of the Man in Black.